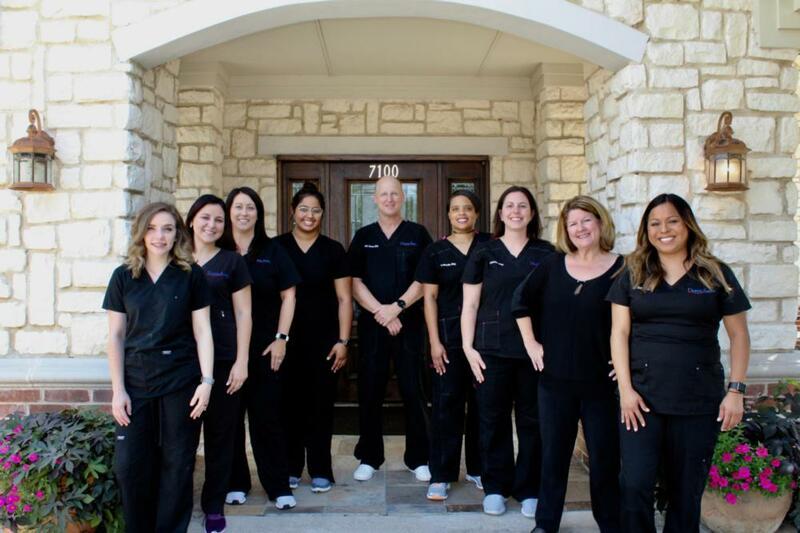 We’ve been proudly serving the communities of Rowlett, Garland, and Plano for over 30 years, and we can’t wait to welcome you and your family to our practice. 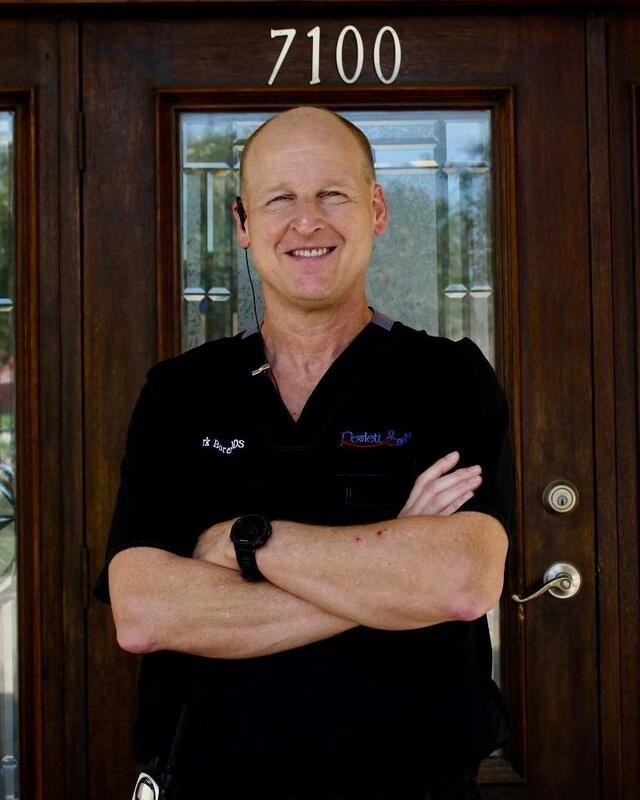 Dr. Mark Boren provides comprehensive and quality dentistry in a warm and friendly environment. Our goal is to meet all your needs here at our practice so you won’t ever have to go elsewhere for your care. We strive to exceed your expectations at every visit, and we do that by using the latest dental technology to make your visit pleasant. Dr. Boren invests in the most up-to-date equipment for our office because he knows it makes treatment more comfortable, effective, and efficient for patients. You’ll appreciate the personalized care and attention you receive at Rowlett Smiles, and you’ll find that it begins with your very first phone call. Contact us today to schedule your next appointment. Dr. Boren has always understood the importance and value of continuing education and has taken numerous courses throughout his career at prestigious organizations, such as the Pankey Institute, the Dawson Center, the Las Vegas Institute for Advanced Dental Studies, and the University of Texas at San Antonio Health Science Center for its Implant Preceptorship Program. Dr. Boren has enjoyed teaching young people, from preschool to high school, about dental health. He particularly enjoys speaking to junior high and high school students about dentistry as a career. Dr. Boren has lectured to dental students on various subjects and has published research in scientific dental journals. 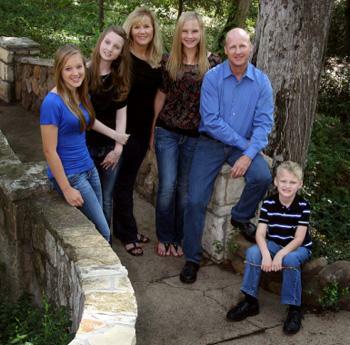 Dr. Boren was born and raised in the Dallas area and has always enjoyed working with people. He and his wife, Donna, both come from families of four children and coincidentally have four children of their own: Sarah, Julia, Melissa, and Kevin. Their lives revolve around their kids’ activities. Dr. Boren also enjoys reading, running, and competing in marathons from time to time. Traveling is another favorite pastime, and Dr. Boren can be found hiking the Grand Canyon, Yellowstone National Park, or other scenic locales when he gets the chance. He also has a passion for sports, particularly baseball. 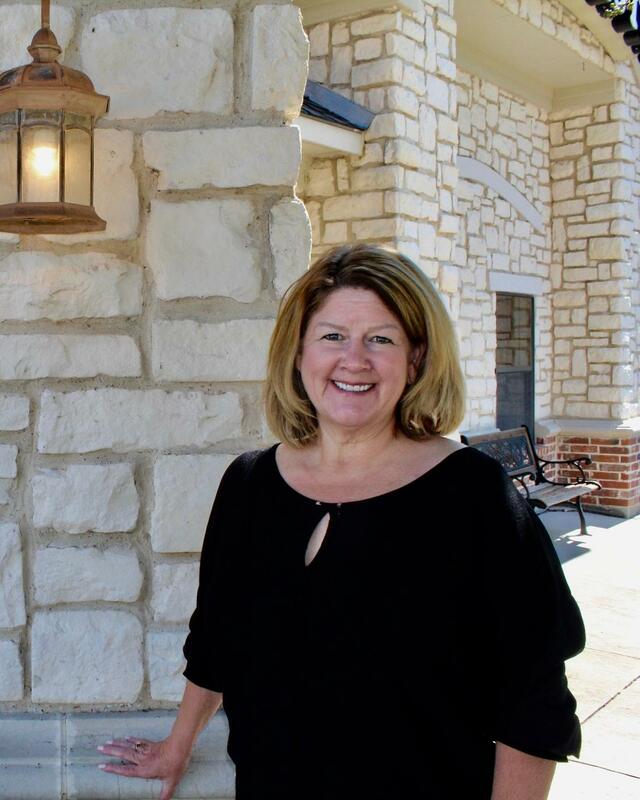 Cyndi has been in dentistry for over 20 years and joined Rowlett Smiles when Dr. Boren opened his new office in 2006. To provide patients with greater knowledge and more assistance, she completed a Certified Business Manager course offered through Jameson Dental Consulting & New York University. Cyndi is always eager to help our patients with treatment planning and financing options and to help them maximize their insurance benefits. She loves camping and traveling with her husband Ricky. Cyndi enjoys working at Rowlett Smiles, where her coworkers are also her personal friends. Working with such a beautiful office, great team, and doctor are definitely a blessing, Cyndi says! Ginny is usually the first friendly voice you'll hear when you call, and she loves talking to and interacting with her patients while helping make their necessary appointments. Ginny grew up in the world of dentistry, helping out in family members' offices since as early as age 12. She decided to start a career in dentistry in 1995, which means she's now been in the industry for over 20 years! 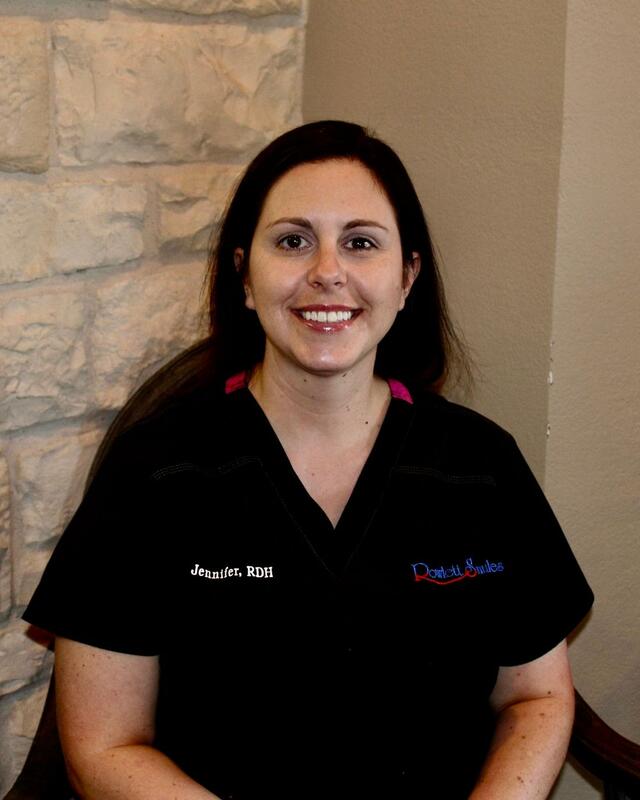 She joined our team at Rowlett Smiles in 2012. She grew up in Rowlett and now lives in Forney with her husband Paul and their three beautiful children, Hailey, Mackenzy and Chance. In her free time, she stays busy watching her children play sports and hanging out on their boat at the lake. Ginny truly feels honored and blessed to be part of such a great group of coworkers and personal friends here at Rowlett Smiles. 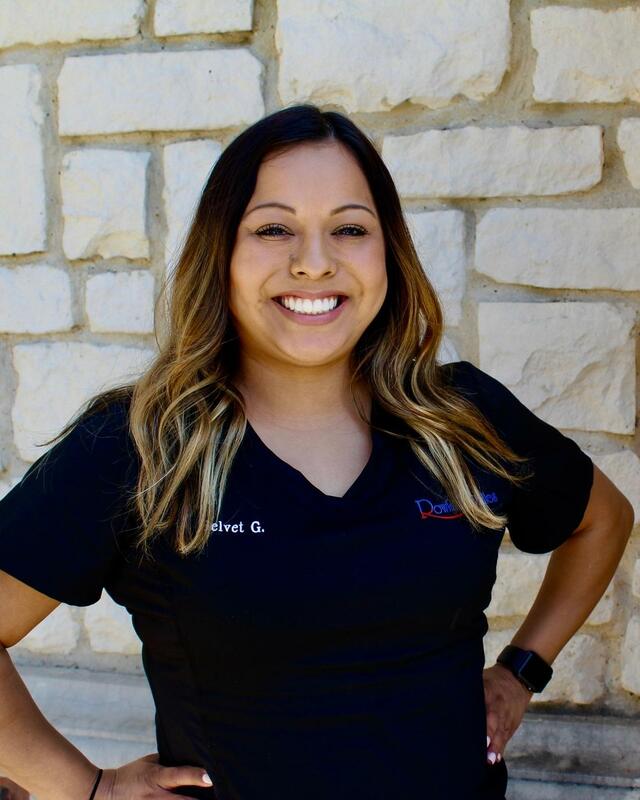 Belvet brings over 8 years of dental experience with her, and she's been working with Dr. Boren at Rowlett Smiles for several years now. While she does have her RDA certificate, she truly feels her calling is at the front desk connecting with patients, and helping out with their insurance needs. Belvet is also bilingual and is of great value to our Spanish-speaking patients. Belvet enjoys spending her free time with her family and shopping. 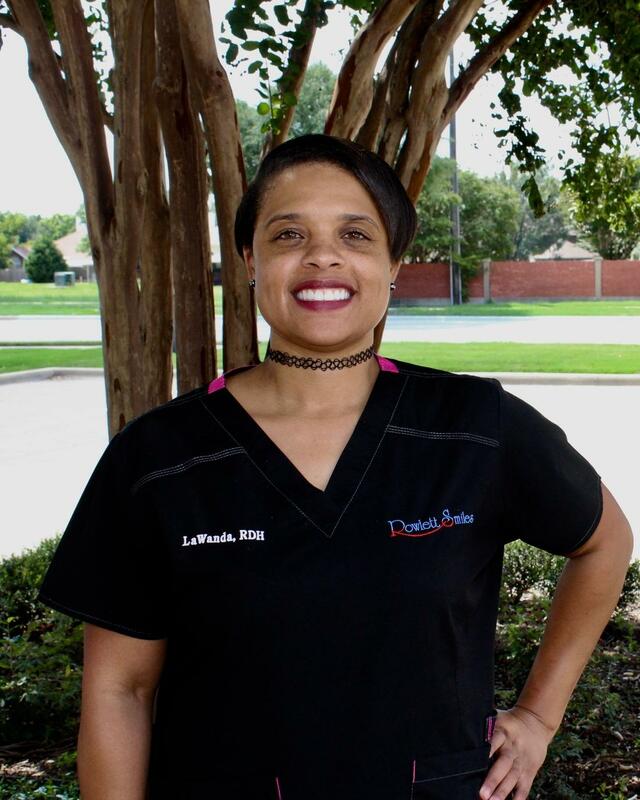 LaWanda has been a Registered Dental Hygienist for over 10 years, and she's worked with Dr. Boren and his team since 2014. She appreciates how dentistry not only makes a difference in her patients' oral health, but also their lives. LaWanda has 2 children and has lived in Rowlett for over 10 years. When she's not helping patients, she enjoys traveling and spending quality time with her children. Ideli has been a dental assistant for 3 years. She is a new member of our team. Her main goal is keeping patients as comfortable as possible and just bringing good vibes into the office. when Ideli isn't working she is most likely spending time with her boyfriend of 8 years and their new kitten. She is also always catching up on her favorite bloggers/vloggers! Jennifer has been in dentistry for over 17 years. For the last 6 years, she has been a Registered Dental Hygienist. She has been married for 13 yrs and has 2 children. She enjoys spending time with her family and cows! Erin has been a member of our team for 6 months now. She works hard each day to ensure patients are comfortable and have a pleasant experience while making sure the back of the office stays on schedule and up to standards. 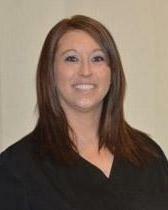 Her favorite part about being at our office is the group effort we put into our dental care. She loves that we work as a team and is happy to bring her skills and knowledge to the practice. In her free time, Erin enjoys spending time with her 3 sisters and playing with her dogs. She also loves traveling with her family & friends.